USA Hockey announced today the 17-player roster for the 2017-18 U.S. Development Sled Hockey Team, which will compete in various national and international events as well as train with the U.S. National Sled Hockey Team during the 2017-18 season. 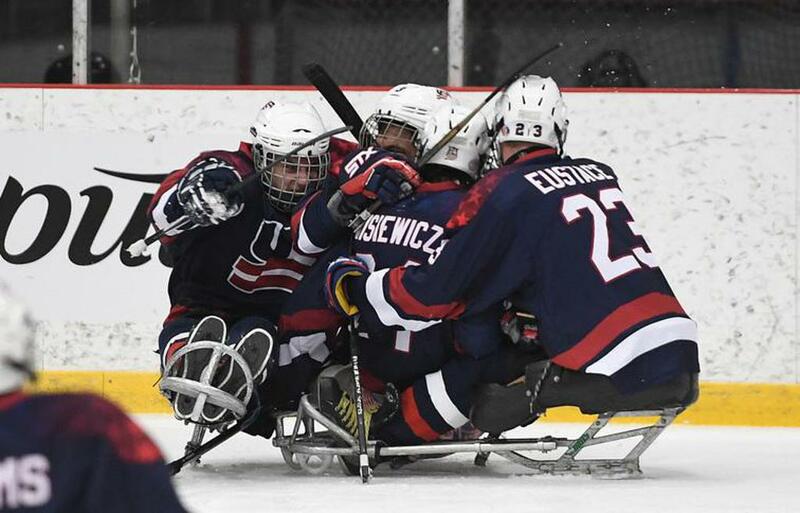 The group includes 11 returnees from the 2017 U.S. Development Sled Hockey Team that swept Canada in its three- game series at the Defi Sportif AlterGo event in Montreal this past April. In total, 14 of the 17 players have previously skated with the U.S. Development Sled Hockey Team. New additions making their U.S. Development Sled Hockey Team debut include defenseman John Curtain (Thomson Station, Tenn.) and forwards Harrison Burgess (Upper St. Clair, Pa.) and Aaron Loy(Carlsbad, Calif.). The U.S. Development Sled Hockey Team will be coached once again by Mike MacMillian (Buffalo, Minn.) USA Hockey’s national coach-in-chief. He will be joined by associate head coach Kip St. Germaine(East Falmouth, Mass. ), and assistant coaches Craig Brady (Silver Springs, Mass.) and Mike Blabac (Hamburg, N.Y.). NOTES: Jeremy Kennedy (Colorado Springs, Colo.), USA Hockey’s manager of membership and disabled hockey, will serve as general manager. Additional staff members will include equipment manager Bill Sandberg (Parker, Colo.), physiotherapist Rett Talbot (Delray Beach, Fla.) and team doctor, Dr. Laura Dunne (Allentown, Pa.).